This lucky dip selection of THREE different Amaryllis varieties, also know as Hippeastrum, will make wonderful and unexpected gifts for friends or simply use as stylish flowers in your own home. 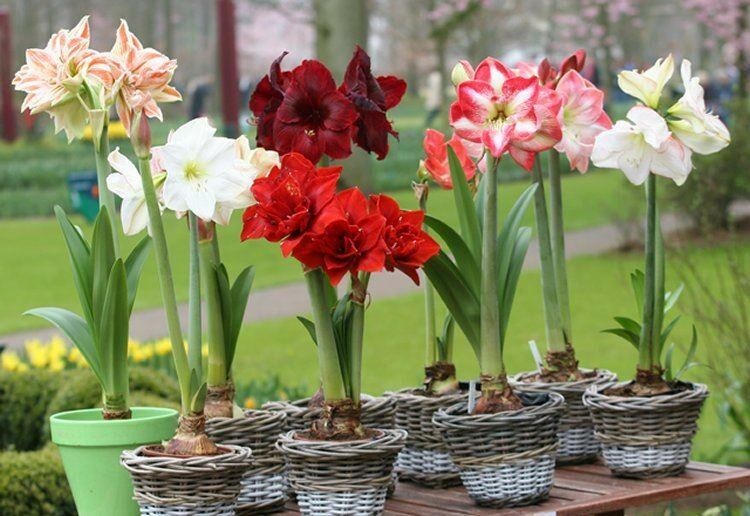 Amaryllis provide an unusual and bold display of glorious colour in your home. 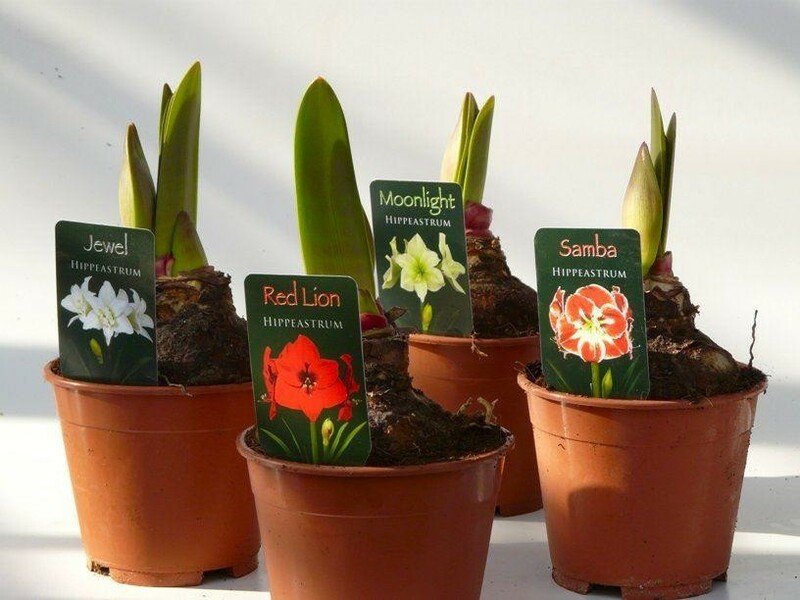 Each bulb comes ready to be planted and growing and will produce 2-3 strong stems with 4-6 flowers per stem. Ideal for making a statement, they will grow to a height of up to around 50cms (20 inches). 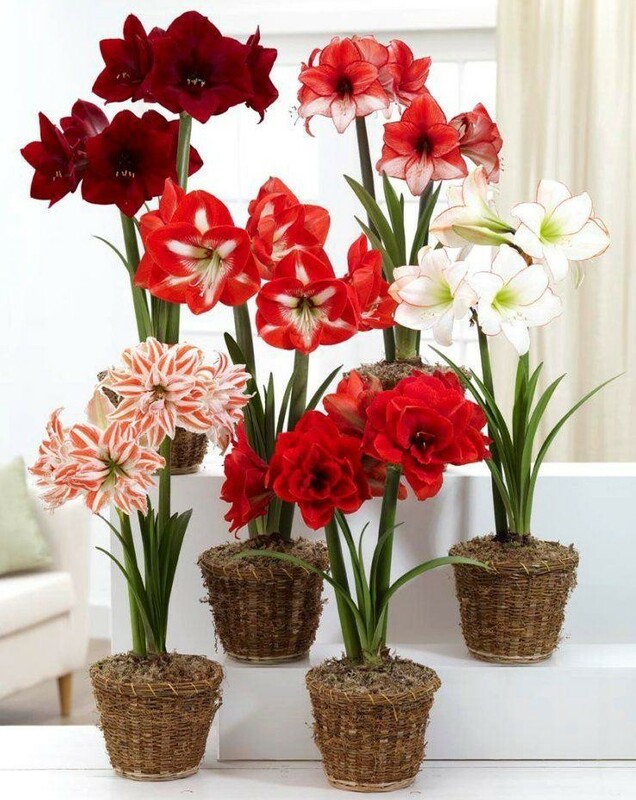 An excellent way to add brightness and floral drama to your home, our unusual varieties of exotic looking amaryllis, are the best quality available, rarer, highly sought types, that you simply won't discover elsewhere. Bought individually as specific varieties these would be much more expensive, but our pack of three assorted varieties in lucky dip selection makes this a great way to get them. Remember, these are ready to be potted and grow away. They can also be kept to flower again in future seasons. Pack of THREE chunky bulbs.